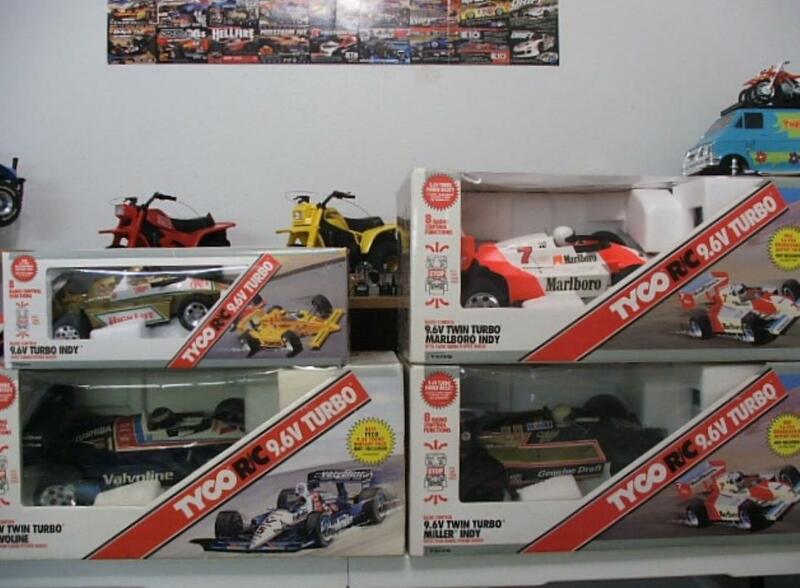 Here are some pics of just a few of my Tyco Twin Turbo Indys from the 1980's. All 4 of them are brand new, never opened, and still sealed. 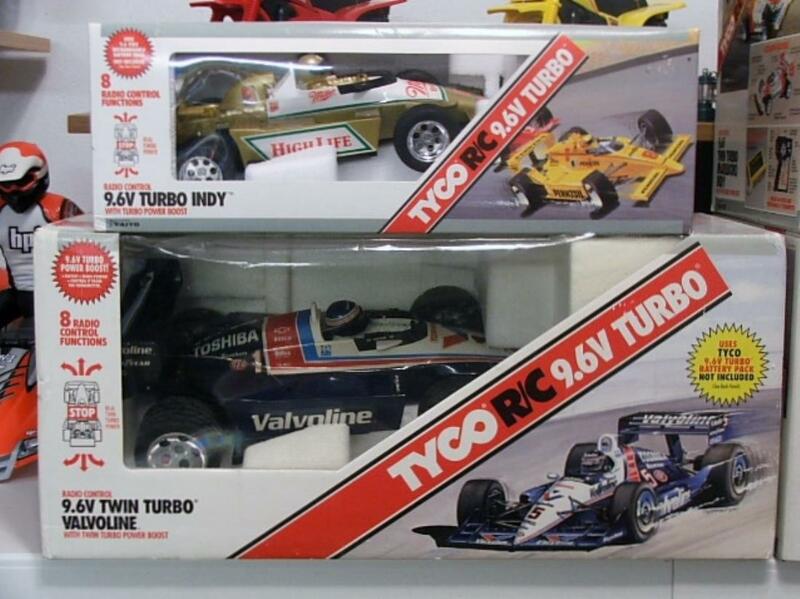 Marlboro Indy, Miller Genuine Draft Indy, Valvoline Indy, and Miller High Life Indy. 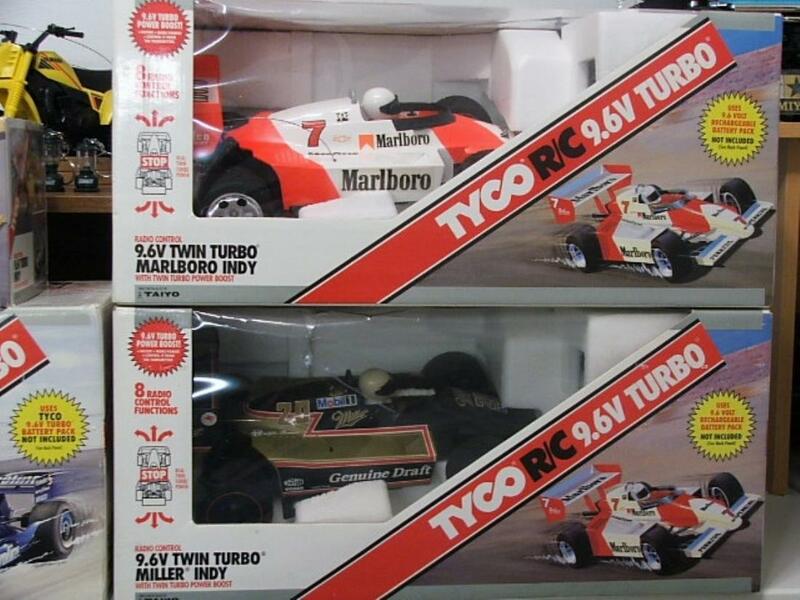 You dont see beer and cigarette advertising on kids toys anymore.